Someone I know could use a bit of happiness in the mailbox and these bright colors should help. Masked off parts of some Neenah Solar White cardstock and blended in some Distress Oxide inks. They blend so easily! Ranger just came out with more colors and I am coveting them, but so far I am resisting. Stamped the sentiment from one of my favorite sets, Essentials by Ellen Up the Happy. The card still needed something, so I added some pink and black dots. Trimmed the panel and popped up on an A2 card. MOOD WHEN DONE: Well, happy! Thanks so much for the comments on my last post. I tried to respond to each of them, but for some reason I wasn't able to respond to all of them. I'll try again later. What a glorious burst of color, Joan! I love the vibrant colors. 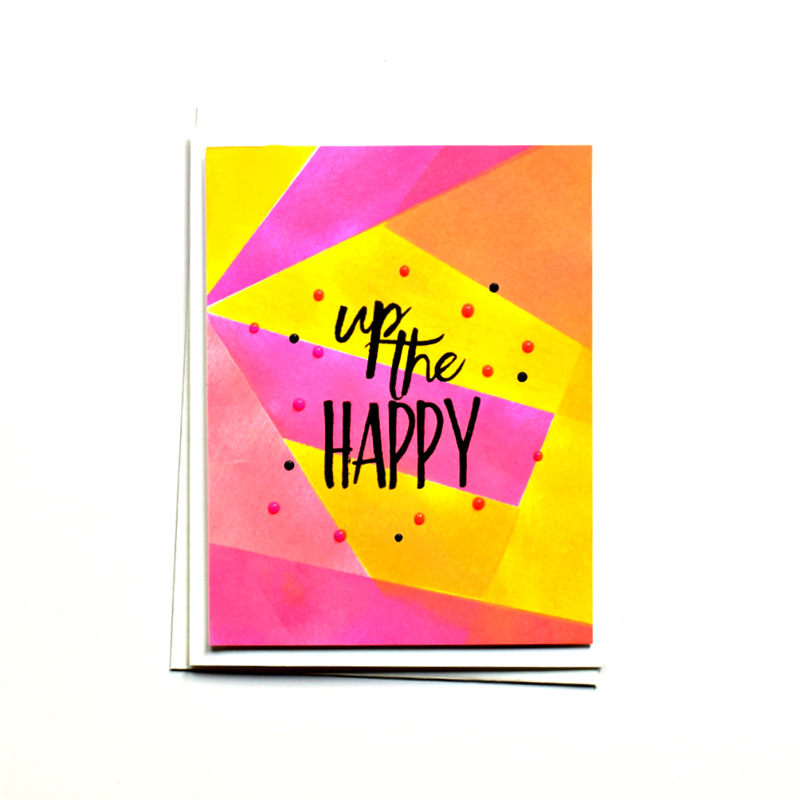 Both the colors and sentiment are sure to bring a lot of happy to the recipient! Great idea on the background! I bought the new distress oxides. You might need them, just saying... I'm on a buying hiatus but I decided that applies more to paper and stamps. You amaze me how you do this. I can't even imagine coming up with it. Love these brilliant colors. You definitely upped the happy!